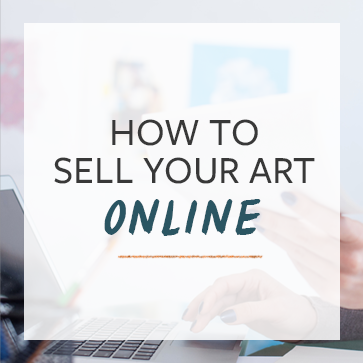 If you haven’t signed up yet, you’ll definitely want to check out our free webinar on How to Make Your Art Worth More Money. Here’s the link. Jerry Seinfeld’s calendar method, Don’t Break the Chain. Crystal’s mindset changed more than anything else. She developed a habit and that habit changed the way that she thought about the world around her and her own art. 15:00 – Crystal and I talk about the importance of living life on top of making art. The more you live life, the more interesting your art will be. 21:10 – some of the awesome habit-building challenges that people have shared with Crystal can be found here. A link to my own 30 day project in progress: 30 days of photography. I love this interview with Crystal so much! The subject of forming habits is endlessly fascinating to me, especially as it relates to the long term commitment to creativity. People seem to really underestimate the value of structure in a creative life and how having certain systems in place doesn’t hamper the spirit but instead frees one’s mind to focus on more creative actions. Crystal’s daily deadline of posting her new artwork by lunchtime is brilliant. What a great interview! Thanks Cory! I enjoy finding out about other artists and their processes and just hearing about their experiences and work. I agree that Crystal’s daily challenge is a great idea to form a habit and set yourself up for success by eliminating excuses. Really enjoyed this interview, Cory. I found Crystal’s dedication to her daily creative habits very inspiring. A whole year with an unbroken, perfect chain of creative habit… amazing! It helped me remember to salt my message to artists with plenty of calls to take action… we can think about doing art all day long and never get anything done… or we can just do it. I really loved this interview. Great insights and great resources. I am eager to start a daily habit. Thank you Cory. Googled for her blog in the beginning of this podcast and was very impressed. Thank you, Cory for interviewing Crystal. At first I was not so interested in this particular podcast, I paint everyday. It’s not a challenge, it feels like this is what I am. Although saying that I know that quality comes from quantity and the more you can do (within reason!) the better you get. But as I listened to this podcast and how Crystal reads other blogs by artists doing cool stuff other than what she does then I realized this is where I have to change. I’m so totally immersed (obsessed?) in what I’m doing that I rarely look at what other artists do, especially outside my own field, and to hear about that was truly invaluable. I’ve already looked at Austin Kleon and will start taking the time to look at what other artists are doing. Thank you so much for this great podcast. I really enjoyed this blog interview-post. I shared it on FB and referred it in my morning blog post. I can be inconsistent, though I’m disciplined about a few things, when it comes to walking in to the studio I find I start some projects put them down and then think of something else to explore. . .so I have one to many unfinished projects that I really do want to finish, laying around. Interesting how after following the discipline of a daily post of Crystal’s art, that she is now getting her work done as time allows. We all have such busy lives and so much other STUFF to do. I find that my work style is more of a rotating one. I’ll get a few digital images worked on within a given set of days, which is far more complicated in reaching the effect you want, through many many layers, tools and saving to a particular format(s) for different uses, then putting it away, revisiting it, and working more to achieve that finished look I want. Then I’ll need to take time to get the STUFF done. A very good interview. With this in mind, I’m hoping to do a post-card challenge with my mailing list & patrons, where every day I create a post card and send it out to one of them. This will be a sort of “just for fun” but with a marketing twist. 🙂 I think would be an inspiring way to personally engage, but also challenge myself. I am realizing I need some sort of public pressure to follow-through on daily creative commitments like this! Another great podcast, I’ve been following ‘The Abundant Artist’ for a while now and it’s strange how I’ll be thinking about a certain subject and then a few days later a podcast along the same lines will appear. Just like Crystal says, I guess if you are looking you’ll find things that resonate with what you are doing. Last year I decided to commit to making 100 drawings in a series, with the aim to create a habit, to make a body of work, dispel some of those nagging doubts and know what I was doing everyday when I sat at my desk. Having completed the first 100 drawings in February this year I felt like I needed to do it again but bigger and I’ve committed to making 100 of 100 things! It is so good to read about more people doing similar work, is this a new movement? Social media really hands itself to this kind of making and sharing, I love it. Thank you for more great inspiration. Great interview! So glad to see the podcast interviews continuing. They are always so inspirational. Are you not on SoundCloud anymore? Id really lily to listen to this interview, But when I hit the download link, it gives the interview you did with Vanessa, which is good too, but I’d love to hear this one as well. Thanks!